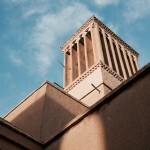 Yazd is an amazing place to visit and enjoy spectacular views and buildings from old times. 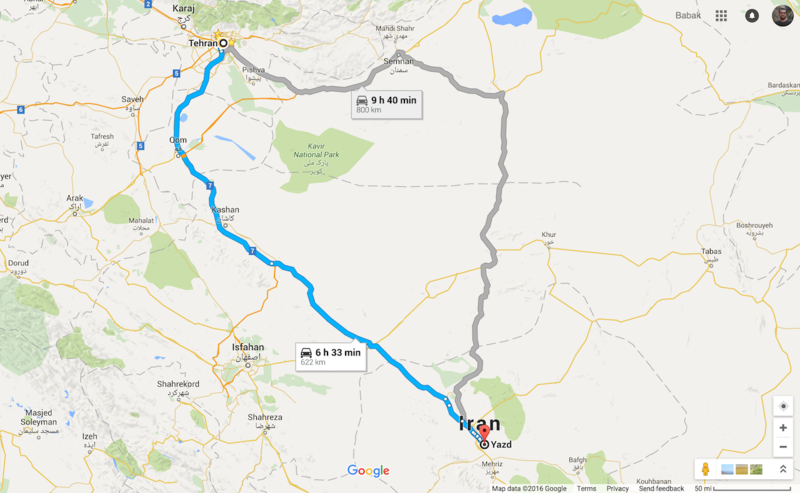 Yazd is located in center of Iran and This is a hot place! 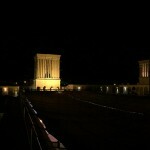 So it is good to visit there is Spring. 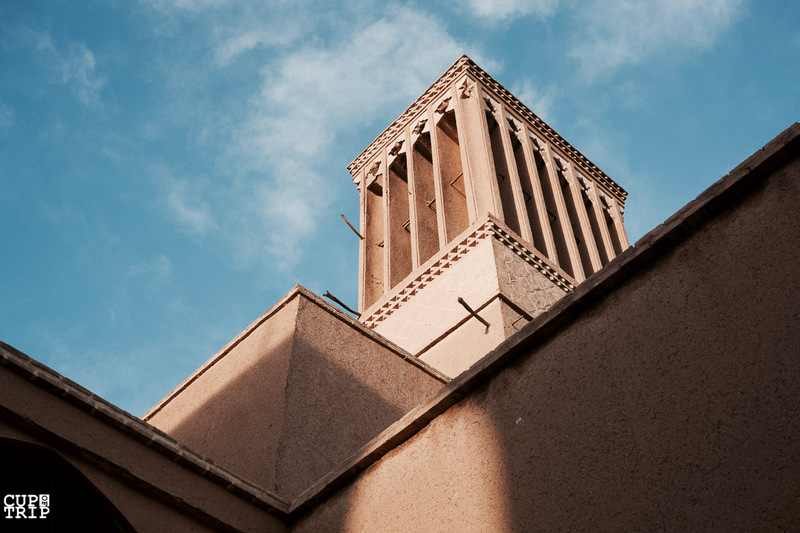 Yazd Windcatchers are one of those interesting structures you will see in various parts of the city. 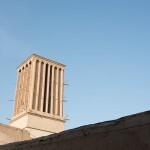 You won`t believe how special structure of Yazd Windcatchers keep the things cold in such hot weather! 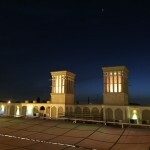 Yazd is one the most important ancient cities in whole world! 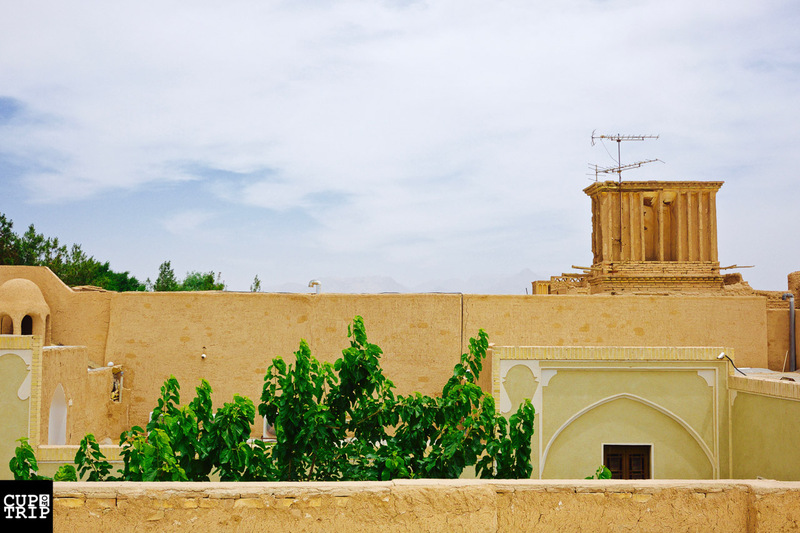 This is the first city made of clay, and rich history for more than 5000 year. 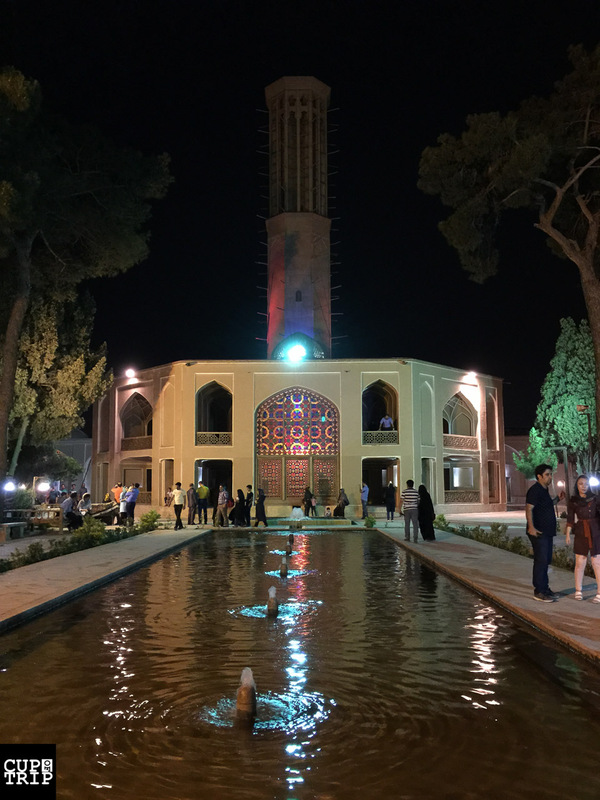 I have been to Yazd in 2015 and had this chance to visit this amazing place and enjoy how people of previous generations could use science to cool down their houses and even make a kind of natural refrigerator to keep foods for a longer time. 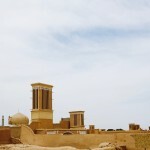 Yazd is not the only place you would see windcatchers. 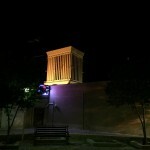 These buildings and structures can be found in various cities located in hot spots of Iran. 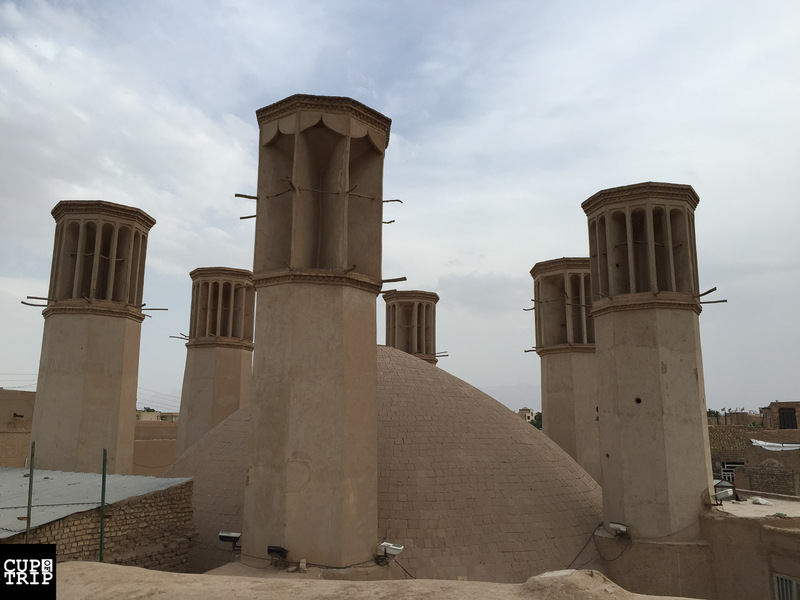 As water is a important ingredient for human life in such places, They have build water reservoirs in different parts of city to provide cold fresh water for people too, all cooled down by windcatchers. 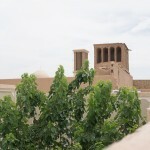 The Structure of Yazd windcatchers use towers to grab wind from outside, and there is water inside beneath the tower. Circulation of weather and evaporating water ends to a cool weather inside the building. 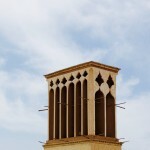 Some of the windcatchers still work in city and you can try it yourself and see how cool they are! 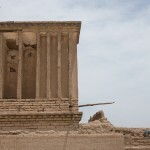 and some of them unfortunately just turned into ruins. 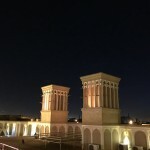 I went through different parts of city and here are photos I took from these amazing Yazd windcatchers! 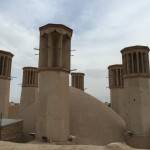 There are lots of windcatchers to visit in Yazd, but some of them are really amazing! 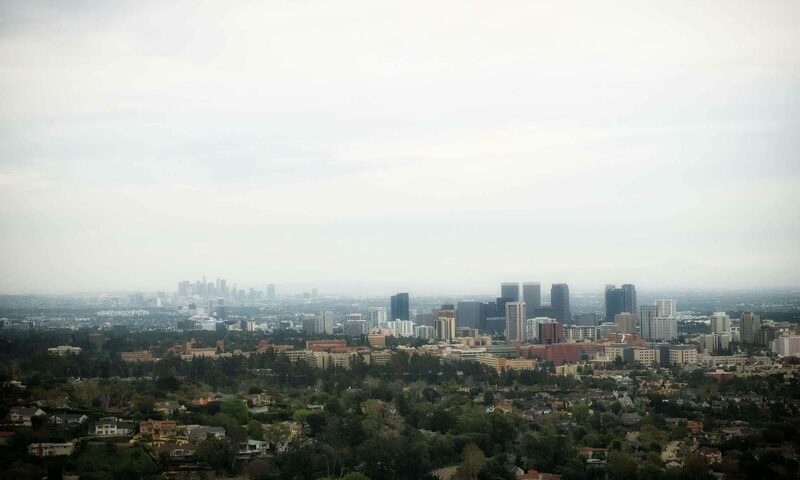 Here are two of them you will love to take a look at. 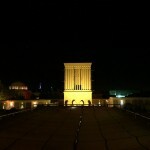 Dolat Abad Garden is an old style gardens from 270 years ago with the tallest windcatcher (more than 33 meters tall). You can go inside the building and see how a windcatcher works. 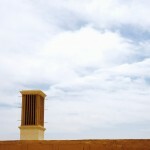 tear a small piece of napkin and throw it up when you are standing beneath the windcatcher. The circulating air will bring up the napkin and there you will see how this amazing structure works! 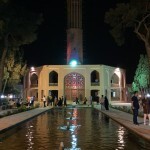 Dolat Abad Garden at night. 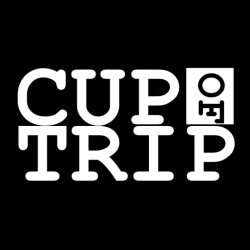 Schedule a dinner with your friends there! 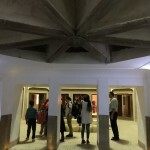 The second interesting windcatcher architecture can be found in a water reservoir with 6 windcatcher. If you are lucky enough, you might go inside and see how cool is the building inside. This water reservoir still works even after all these years.